By February 1797 the revolutionary war with France had entered its fourth year. Spain had declared war on England the year before, in October 1796, and with a lack of bases in the Mediterranean under British command (only Corsica and Elba remaining) and a fleet made up of only 15 ships of the line, they were vastly outnumbered, with the Franco-Spanish fleet amassing 38, in comparison. The British fleet was forced to make a hasty retreat and evacuate their bases at Corsica and Elba. 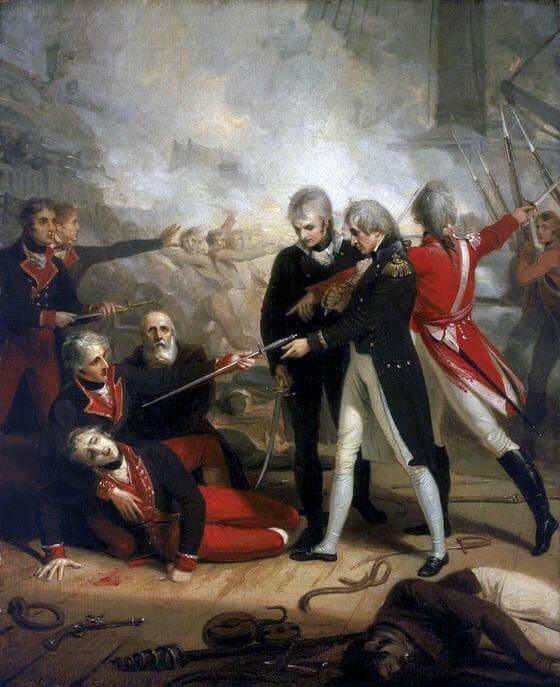 The latter evacuation was made by, then Commodore, Horatio Nelson, in December 1796. As part of this evacuation he fought and captured two Spanish ships, including the Santa Sabina, but, unfortunately, had to abandon the prizes in order to sail and meet Sir John Jervis in the Straits. Jervis later went on to play a large part in the second relief of Gibraltar, in 1781. After a short engagement with the French 74-gun Pégase in 1782 Jervis was wounded, but due to his action was invested as a Knight of the Bath later that year. Whilst serving as Commander-in-Chief of the Mediterranean fleet in 1797, Jervis created a set of standing orders for both officers and seaman, to avoid mutinies. This was a very controversial move and when he later became First Lord of the Admiralty he introduced a number of reforms, unpopular at the time, but which benefited the Royal Navy greatly. On February the 4th, the Spanish Fleet, commanded by Don Jose de Cordoba sailed with his fleet from Cartagena, bound for Cadiz, the predominant Spanish port on the Atlantic coast. The intention? To sail for Brest, join the French and create a combined fleet with which to fight the British. Cordoba had heard that Jervis was off Cape St Vincent with an estimated 9 ships. Cordoba had 35, an easy match, he thought… Unfortunately for Cordoba, 6 further ships joined Jervis. On February the 11th 1797, Commodore Horatio Nelson, on board HMS Minerve, passed through the Spanish fleet, to join Jervis. Fortunately, he was unseen thanks to thick fog and he reached the British fleet on 13th February 1797. Nelson informed Jervis that the Spanish Fleet was approaching and Jervis comminicated with the fleet and made them prepare for battle. Nelson moved his commodore’s pendant from Minerve to the Captain of 74 guns. De Cordoba sailed closer and Jervis was aware that he was outnumbered almost 2:1. A famous story from the battle? Jervis and his Flag Captain Robert Calder (who became famous for his own reasons in 1805) were counting the ships before realising that, once more, the British were outnumbered, this time 24 to 15… I’m unsure on how true the below is, as with most of these “heroic” quotes. It’s referenced in a number of places, however, and perhaps it was a miscount as it appears that different sources list 24 and 27. Either way, the British fleet were outnumbered. The Spanish ships were in two divisions, one in front of the other. The plan Jervis had in mind was not dissimilar to that used by Nelson at Trafalgar 8 years later (no, Nelson did not come up with it). He would take his fleet in line ahead, cutting the Spanish line and separating them in to two. 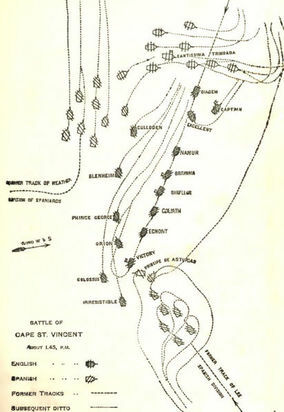 At around 1100 Jervis signalled his ships to ‘form in a line of battle ahead and astern of Victory as most convenient’.Troubridge’s Culloden was at the front of the line and Nelson in Captain was third from the rear. Jervis signalled his intention to ‘engage the enemy more closely’ around 15 minutes later. At 1130 the signal was made to ‘pass through enemy lines’. Troubridge made for the space between the Spanish divisions, cutting off the leading 9 ships. 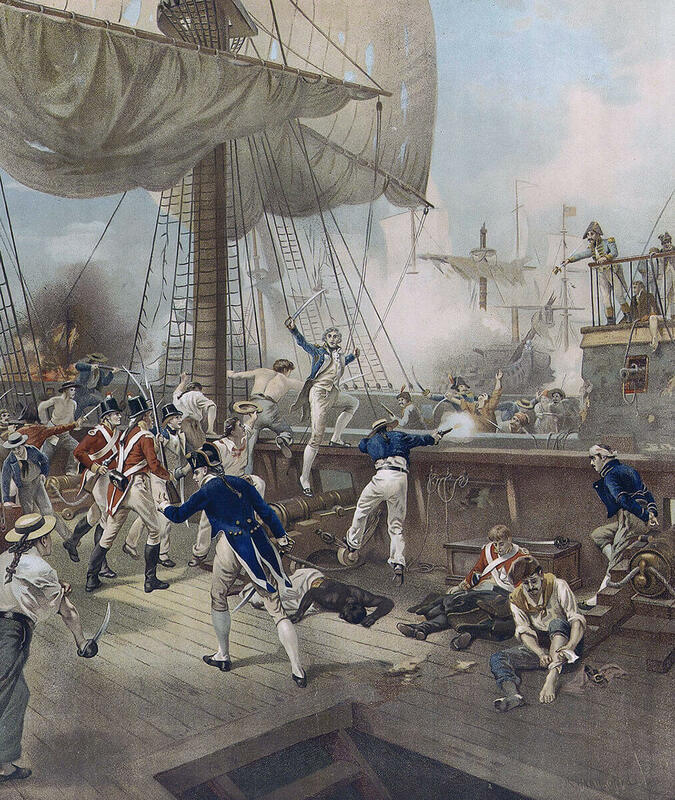 As the British ships joined him, Troubridge opened fire, followed by the following ships, all of which had double shotted their guns for the first broadside. Both Spanish divisions turned north, presumably to escape. Troubridge veered to follow. Now for some classic Nelson… At the rear of the line, Nelson realised that the British would soon begin to chase the Spanish and, by the time the British fleet had tacked, the Spanish fleet would have the weather gage (the advantage of the wind) and more importantly, the Spanish were about to break the British line. Cordoba was becoming increasingly aware that, despite the fact his fleet was twice as large, that the British fleet was far larger and stronger than anticipated. 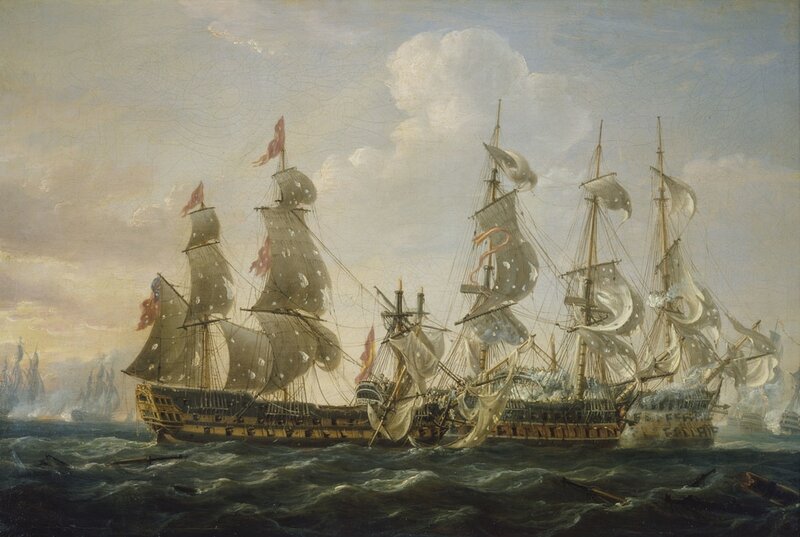 Nelson ignored Jervis’ order to sail in line ahead, realising that he could give Jervis time to reach the main group of ships by attaciking where he was. 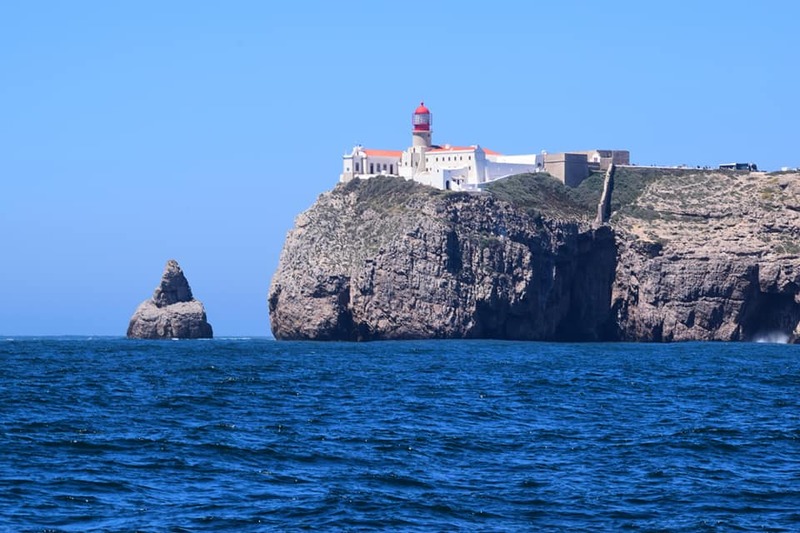 He turned the Captain hard to port, cutting through the British line and sailed straight for the van of the Spanish division, taking on the 130 gun Spanish flagship, the Santissima Trinidad at the same time Victory took on a Spanish hree-decker. The Spanish ship took heavy fire from the Victory and a gunner on board HMS Goliath later wrote that ‘we gave them their Valentine in style’. ​Collingwood, onboard Excellent engaged the Salvador del Mundo and San Isidoro, causing each of these ships to take down their colours, before sailing to assist Nelson on the Captain. Collingwood engaged the San Nicolas from around 10 feet away, causing the Spanish ship to swing and foul the three decker, San Josef, before Collingwood took Excellent on to engage Santissima Trinidad. Nelson, on the now dismasted Captain put the ship alongside the San Nicolas and led a boarding party, famously shouting, “Westminster Abbey or glorious victory” as he jumped on board. The San José, of 112 guns, quickly came to the aid of the San Nicolas, and so Nelson called for another boarding party and cross decked to the other ship, sword in hand, in a move that came to be known as ‘Nelson’s patent bridge for boarding first rates’. He forced the surrender of both ships. The Santisima Trinidad, despite the best efforts of the Spanish fleet, was heavily damaged after having been attacked the entire afternoon eventually surrendered. Nelson had strictly disobeyed the orders given to him by Jervis. He was never disciplined for this feat of tactical mastery, but his actions were not in the official report for the Admiralty. I like to read these history posts by you as they are actually interesting and not stuffy like some peoples. I would never read a book on it so it’s good to get some knowledge in a shorter way. thanks.